I hope your holiday season is brilliantly happy. I've been enjoying mine, that's for sure! Holiday cookies at work, Christmas songs, baking--everyone wishing each other Merry Christmas. It makes me wonder if I'm just lucky, or do those who say that Christmas brings out the worst in people just see the world through tainted lenses? Because I feel incredibly blessed. Yes, it's a busy hard season. But it is so worth it. That said, I think Christmas day will be my reward with my family, and then I'll be happy that the bustle and hard work that is part of the season is over. Although at the same time I dread the busy-ness at work flatlining...I am for a decent amount of activity. Antthing less drives me mad. I am for being on the move--and if I'm not, I have a tendency to make work for myself. Sometimes to a very stupid point, where I can't handle it. Well, at least I'm learning to balance it a bit more. Anyway! Moving on! 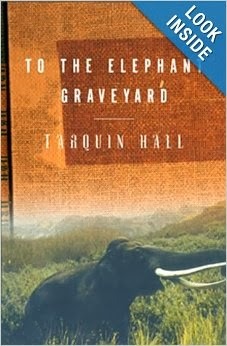 I've just finished reading To the Elephant Graveyard by Tarquin Hall. It was incredible! I enjoyed it so much. It provided that close, personal glimpse into another culture that I always crave--and it also fed my love of elephants. I got to learn more about the lifestyle of mahouts (elephant riders) and their elephants. It's a dying lifestyle. I hope I get to see it before it goes--if it does. Things come back from the brink, sometimes. The book was a good in-depth commentary point of view of modern times in India, built from its past. I learned about the British presence and ancient cultures and religions that culminated through time. I love learning about this sort of history. It feeds my imagination. The human race, in all it's different shades, is a fascinating study. We are amazing...and all the beasts of the earth pose a living example of the magnificence of God's Creation. Elephants are a prime example of that. I've always been fascinated by elephants. Theyr'e so regal, wild--dignified in a gritty, rough, and beautiful way. Reading this book I learned more about their natures. They have big personalities. 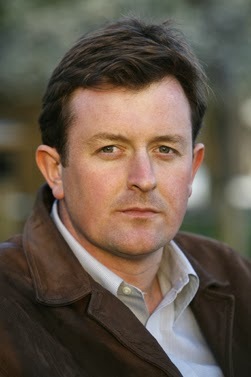 The stories of Tarquin's time with them and the mahouts was in depth, and frankly hilarious at times. The main course of the story followed Tarquin's quest to follow an elephant. Yes--surprise--but I'll explain. Even Tarquin was questioning about the necessity of such a hunt. He followed along to get the gritty of it, so to speak, and learned first hand exactly why such a order was given for this particular elephant. And it was a story of both of sadness and terror for those who had to live through it. It was like a something you'd hear of a stray dog. Beaten into madness and then goes savage on everyone. To the point that nothing can be done but put a mortal end to it. It was an amazing story. Full of feeling, food for the imagination, and plenty of cultural learning. I'm so glad I found it. A definite, solid candidate for my permanent shelf. To the Elephant Graveyard has earned it. I will be looking for other work by Tarquin Hall. His writing was fantastic--and he writes from the heart. It felt completely honest. I respect that. Well done, sir. In the spirit of travel and learning of other cultures, I'm happy to announce that Candace Rose Randon from The Great Affair has agreed to an interview! I enjoy her blog so much. She has recently finished a journey through Eastern Europe and Turkey. Her adventures and pictures were amazing, and it was wonderful getting a personal look at her time there. I really would urge you guys to hop over and read her blog! Really worth it. That's all for now. The post with Candace Rose should be soon, but until then, happy holidays!